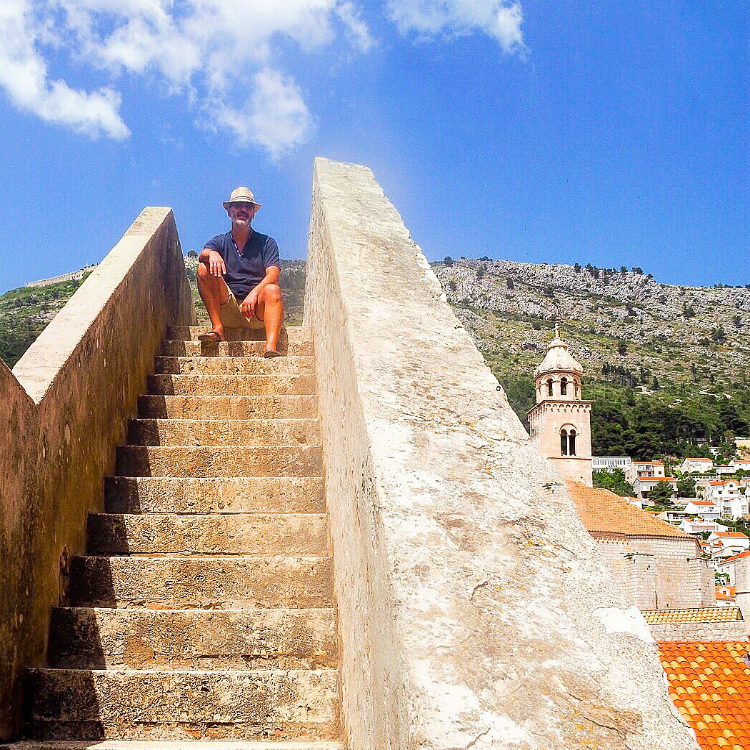 Dubrovnik – walking the city wall! We stayed just outside of Dubrovnik in a beautiful quiet bay called Mlini which was a delight! 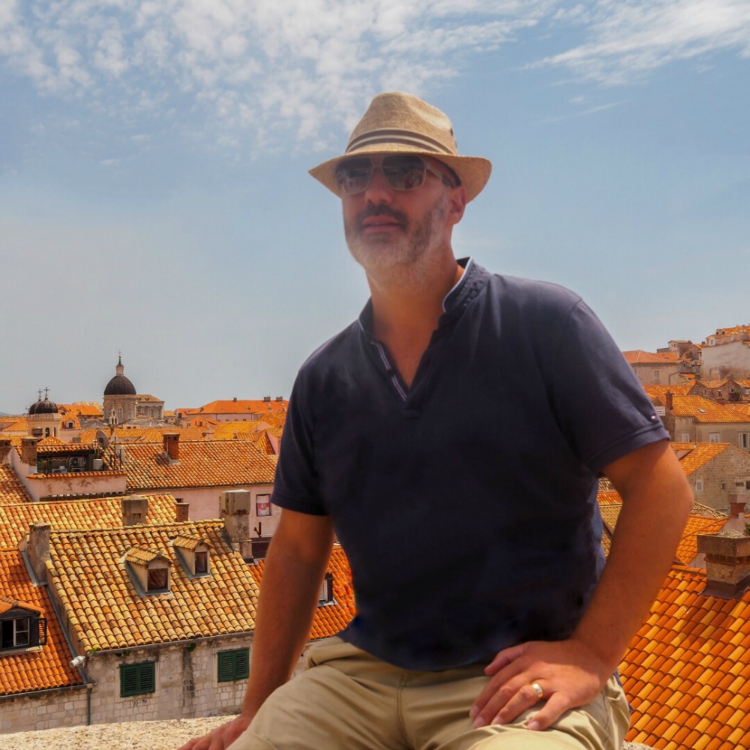 And although we had a car we decided that our first trip into Dubrovnik would be by boat as we wanted to experience the full impact of the approach and view from the sea into its beautiful harbour … it really did not disappoint! From a distance you can already see the distinctive orange tiled roofs offset against the turquoise crystal clear water and if you are lucky, as we were, a clear cobalt blue sky! Striking and imposing we knew we’d made the right decision to see it for the first time in this way and it was exciting to pull into the harbour and walk straight out into the busy labyrinth of cobbled lanes! The boat from Mlini made 2 quick pick ups en route and took in total around 30 minutes with lovely views of the coastline and islands along the way! As expected, although only mid morning, it was already busy and getting busier by the minute as tours and more boats arrived into the harbour. 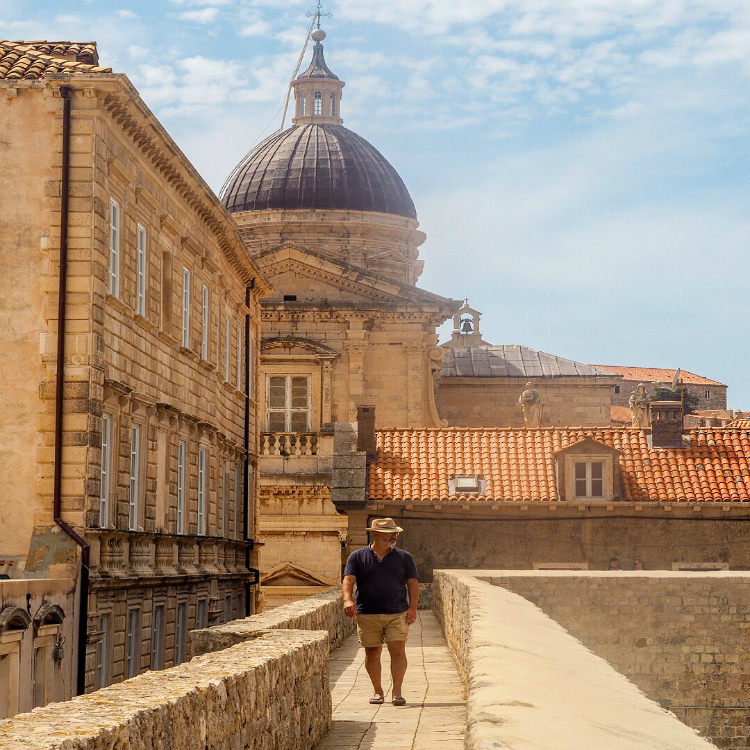 We had a quick walk around the main squares and lanes but were ready to get up onto the city wall to escape the crowds and check out those famous rooftops! 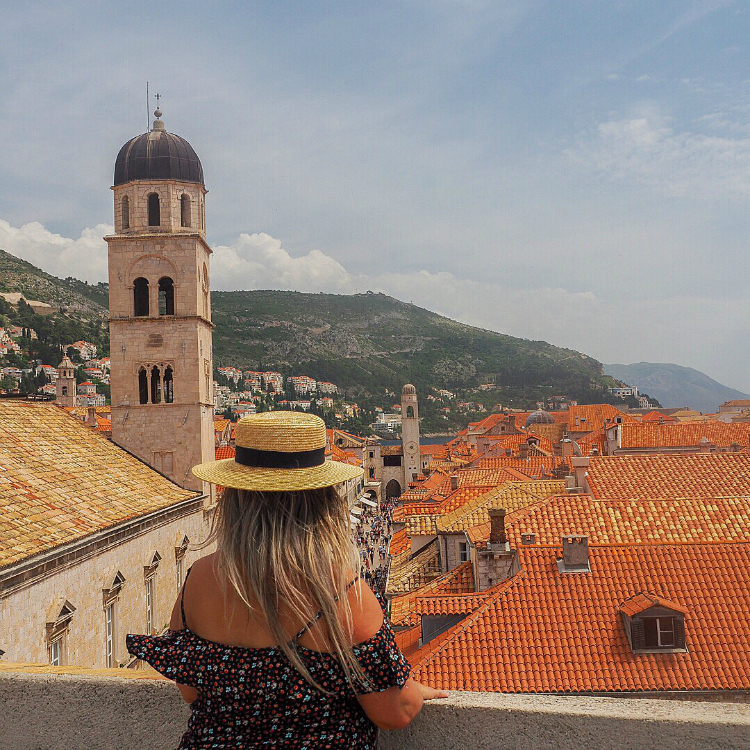 At first we thought that the ticket price of 20 Euros per person (150 Croatian Kuna) was a bit steep but it didn’t take long to realise this was an amazing way to see the whole of the city with stunning views at every stage. 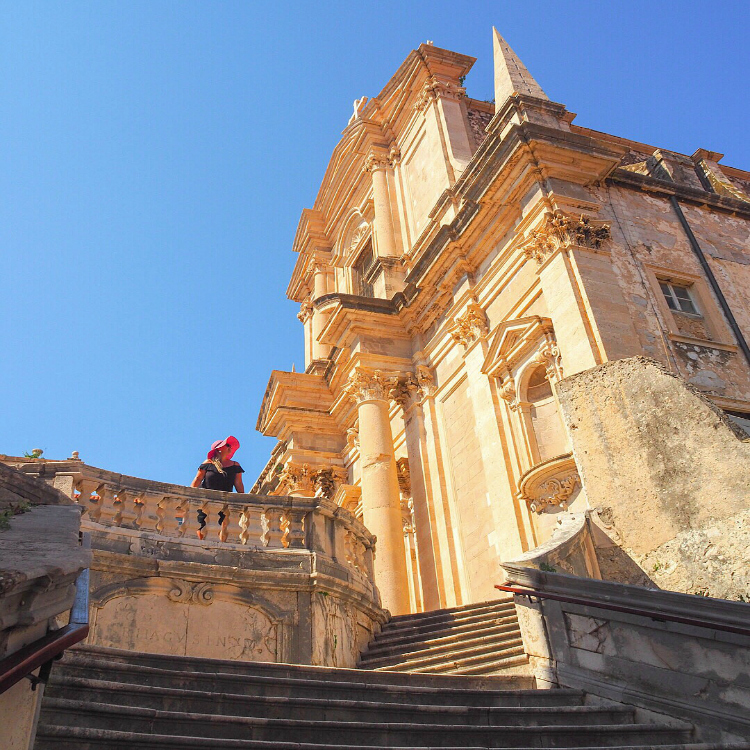 Plus the whole route is 2 km long and we spent 2 1/2 hours leisurely walking, admiring, taking in and totally enjoying the whole experience – so worth it! 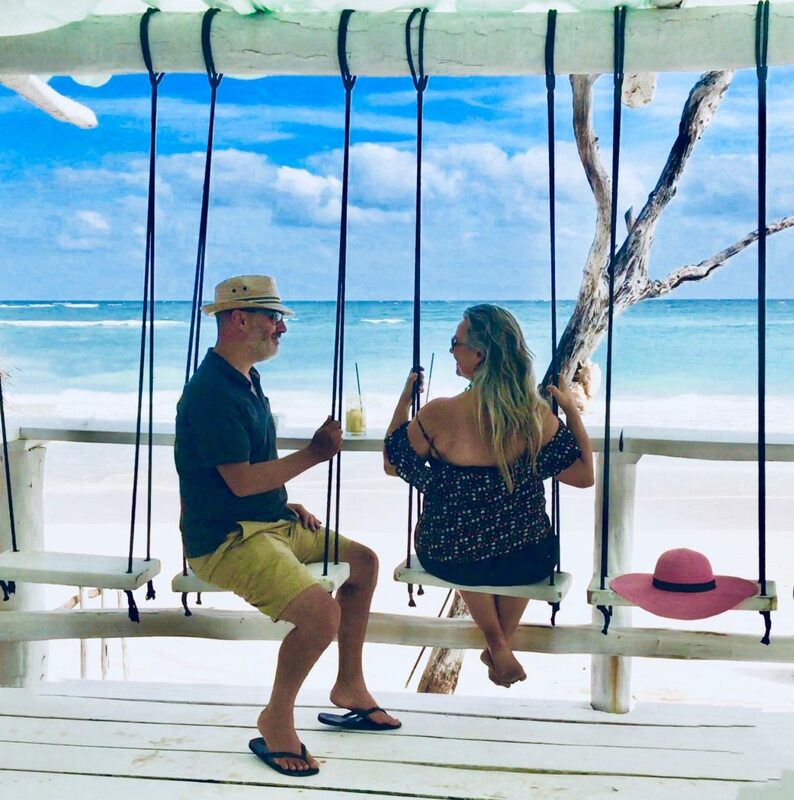 There are a few steep parts and some stairs here and there … so the couple of small bars along the path are handy pitstops for refreshments or to simply put your feet up for a break and take in the views. Also good to know that there are 3 exit points if you don’t want to complete the whole circuit anyway! 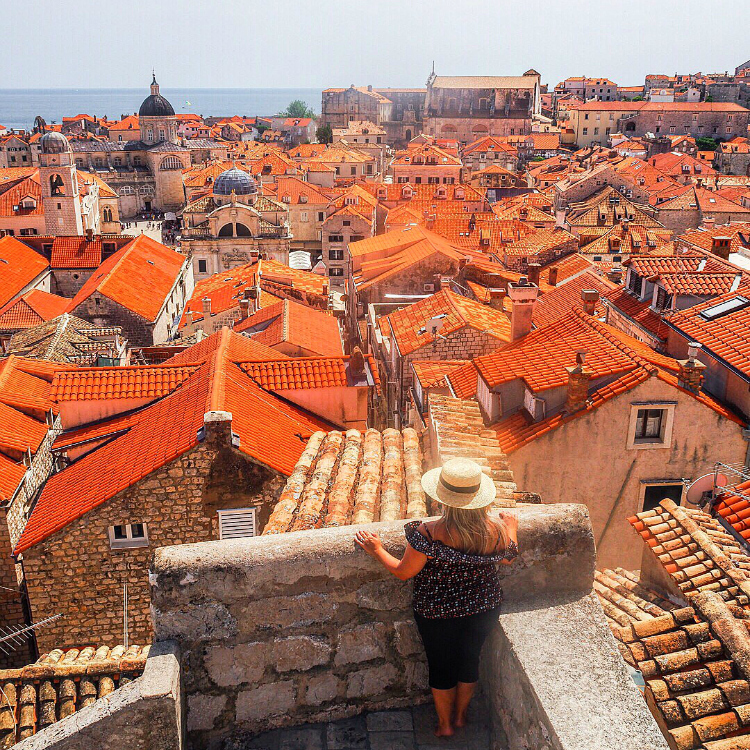 The bright rooftop views are an obvious favourite and do sum up the colours of Dubrovnik set against the pale stone of the buildings! 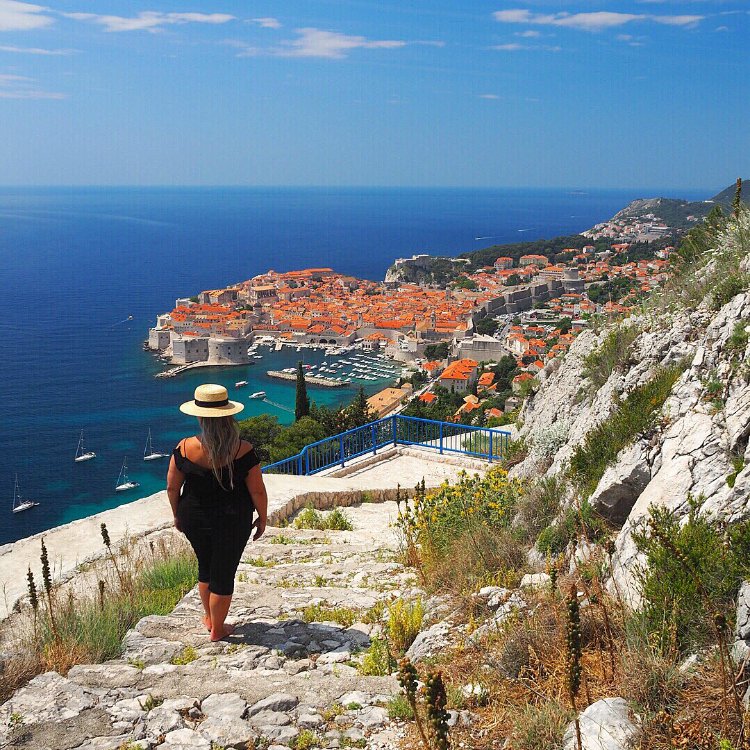 But you also get to see the busy harbour from above and at one point you are high up on the coastal cliff side looking out to sea and the gorgeous island of Lokrum or suddenly face to face with one of the many church domes that are dotted throughout – such a varied and interesting walk! What tempted us off of the city wall and its captivating vistas was the continuous inviting smells of food that drifted up and eventually drew us down! There is no shortage of wonderful eateries which all seemed beautifully designed, inviting, modern and of course delicious! 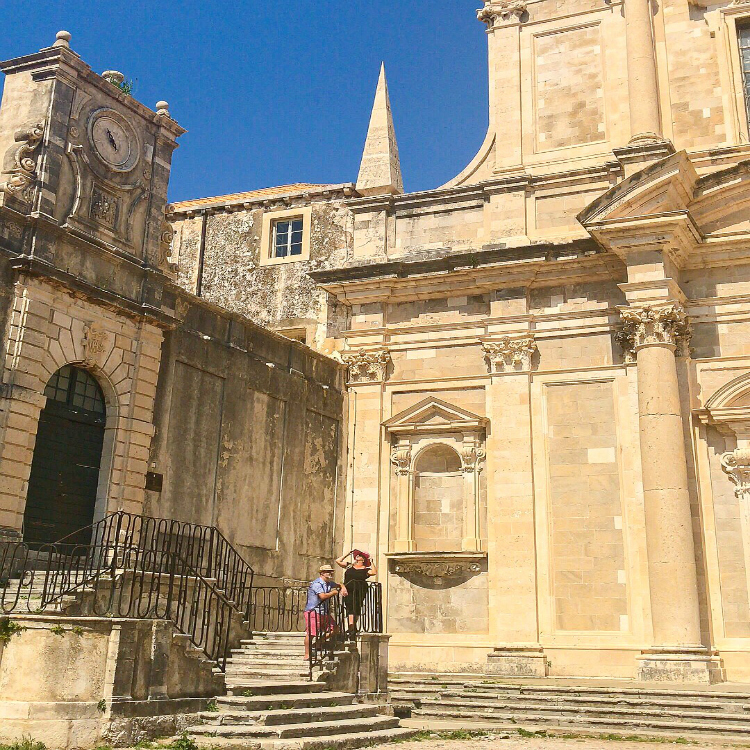 To really see the architecture and walk the cobbled streets in peace we returned a few days later – this time in the car which was just a 15 minute drive from Mlini – parking up relatively easily right by one of the city gates. The difference being that it was just after sunrise so super early with the glowing early morning light, the stillness, the quiet, the empty alleyways and getting to see the monuments and buildings uninterrupted … it was one of our most favourite moments of the trip and well worth the effort! Fuerteventura – backdrops, beaches, beauty! Dordogne – for dreamy days out! Burano – the rainbow island! Brantome – walking in an oil painting!